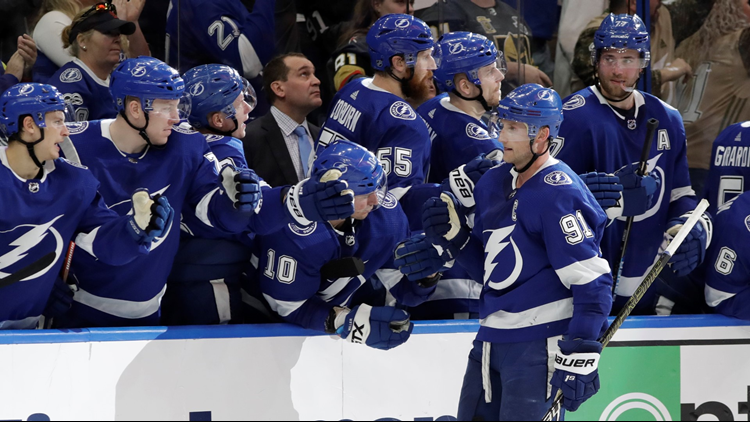 The Tampa Bay Lightning and Buffalo Sabres are scheduled to play in a pair of regular-season games in 2019. STOCKHOLM, Sweden — The Tampa Bay Lightning are scheduled to play two games next season in Europe as part of the 2019 NHL Global Series. The two regular-season games against the Buffalo Sabres are scheduled for Nov. 8 and Nov. 9 at Ericsson Globe in Stockholm, Sweden. The Ericsson Globe was built in 1989 and is the largest hemispherical building on Earth. It took two and a half years to build and has a capacity of 16,000 fans for concerts and 13,850 for hockey. Amalie Arena – where the Lightning play home games – is about 4,932.78 miles away from the Ericsson Globe. A non-stop flight between Tampa to Stockholm is about 12 hours. Also scheduled for the 2019 NHL Global Series: the Chicago Blackhawks and Philadelphia Flyers are set to open the regular season on Oct. 4 in Prague, Czech Republic. The Blackhawks also play Eisbären Berlin in an exhibition game on Sept. 29 in Berlin, Germany. The Flyers are also scheduled to play an exhibition game against Lausanne HC on Sept. 30 in Lausanne, Switzerland. Tickets to games in Stockholm, Berlin and Prague are available on March 27. However, tickets to the game in Lausanne are available on April 10. The 2019 NHL Global Series marks the third consecutive year and eighth season overall the league has traveled to Europe to play regular-season games.